If you’re a basketball fan, you’ll remember that Jackson has used plainer words about referees, and this has cost him a lot of money over the years. During the 2009 NBA Finals he was fined $25,000 for complaining about “bogus” calls. The following year he was fined $35,000 twice in two weeks. Why did he complain so publicly? So those costly criticisms may have been an investment in helping the officials make better decisions in the future. The president of the United States happens to be a basketball fan. Maybe he’s seen this trick work a few times. On June 25, the U.S. Supreme Court upheld the administration’s interpretation of the health care law, which Chief Justice John Roberts said was necessary to avoid “a calamitous result.” Who would want to be blamed for preventing “miracles”? Although the justices are insulated from politics by lifetime appointments, they strive to maintain the public’s respect for the institution of the Supreme Court. They can’t put their orders into effect without the aid of elected officials. The judiciary has “neither force nor will, but merely judgment,” Alexander Hamilton explained in the Federalist Papers. It’s this vulnerability—the Supreme Court’s reliance on the esteem of the public—that Obama attacked in 2010 during his nationally televised State of the Union address. The president slammed the justices, some of whom were seated right in front of him, for their ruling in a campaign finance case. Longtime political experts were startled by the breach of protocol, but basketball fans would not have been. With his remarks in Germany, Obama signaled that he was ready to denounce the Supreme Court, perhaps for decades, if the justices blew the whistle on the IRS rule that went around the literal wording of the Affordable Care Act. Sure enough, the call went his way. Presidents have done this kind of thing before. Franklin Roosevelt famously threatened to pack the court with more justices in order to get the majority he needed to uphold the New Deal. But it was the other Roosevelt, Teddy, who best explained this Progressive technique. Phil Jackson would have been fined a million dollars for that remark. Reach the author at Susan@SusanShelley.com or follow Susan on Twitter: @Susan_Shelley. On his way to Los Angeles Thursday, White House deputy press secretary Eric Schultz took a wide array of questions from reporters. Topics ranged from Wednesday night’s terrorist attack in South Carolina to free trade, the Pope — and golf in the Coachella Valley. As California’s potent drought inspired soul searching from analysts worried the Golden State can’t grow without water, politicians and officials focused on a more immediate task: laying blame for the problem. Gov. Jerry Brown has tried to set a philosophical tone, cautioning that “we are embarked upon an experiment that no one has ever tried: 38 million people, with 32 million vehicles, living at the level of comfort that we all strive to attain. This will require adjustment. This will require learning.” But environmentalists have urged him to add water restrictions to California’s big farmers. At the same time, environmentalism itself has become caught in the political crossfire. In a related spat, Republicans at the federal level blamed environmental interests for President Obama’s threatened veto of a bill that would pump water from California’s Delta region into Southern California. The move drew howls from California’s Republican delegation. “We’re going to continue to be in touch with California,” he concluded. At the same time federal water allocation has become a bone of political contention, the role of fracking in water consumption has also come under scrutiny. In furtherance of a law passed last year that requires oil and gas companies to disclose how much water they use, state officials told Reuters that last year that the figure hit some 70 million gallons’ worth. But rather than bowing to objections from within his own party, Gov. Jerry Brown declined to crack down on the practice. For environmentalists, who have been at odds with fracking for years, both in California and across the country, the drought’s intensity simply supplied yet another reason that the practice should end. The “Magnum P.I.” mansion is literally right on the water. So shouldn’t Obama be concerned that sea levels around Hawaii are rising according to government water level stations. At Mokuoloe, on Oahu’s north shore close to wear the Obama’s may have bought their home, the sea level is rising at a rate of one millimeter per year, or 0.36 feet per century. Across the island in Honolulu, the sea level is rising much the same, at about 1.4 millimeters per year, or about half a foot per century. Obama’s alleged beachfront estate was sold for $8.7 million, and the new owner got a $9.5 million mortgage to buy the house and fix it up. Residents of Oahu, and the American public, may find out if the Obama’s are in fact the new owners of the house this December when the first family heads out on their annual vacation. A full-throated defense of fracking’s safety from an Obama administration cabinet official would seem newsworthy. But a Nexis search reveals that the only mention of Jewell’s pro-fracking remarks in a California newspaper came in my own editorial for U-T San Diego. This was no fluke. With the exception of a handful of stories in the San Francisco Chronicle, the state’s largest papers almost never report the administration’s view that—with prudent regulation—fracking can be safe. That quotation appeared in the New York Times. The Los Angeles Times omitted Jewell’s quote and chose instead to turn to a spokesman for the Western Energy Alliance, a Denver-based trade association, for the pro-fracking view. If a pro-fracking comment appears in a California paper, you can be sure it will be from one of the Golden State media’s favorite bogeyman—either an energy trade association representative or an oil company executive. Environmental-beat reporters at the L.A. Times, the Sacramento Bee, the San Jose Mercury-News, and other large state newspapers have reported on the Obama administration’s other energy policies, including its opposition to the proposed Keystone XL pipeline. But even as the president campaigned for reelection in 2012 with boasts about all the natural gas and oil produced by fracking during his first term, these reporters have somehow decided his views aren’t worth sharing with their readers. In 1980, Arnaud de Borchgrave and Robert Moss published a thriller about a Soviet plot to subvert the United States called The Spike. It was inspired by de Borchgrave’s years as a journalist and his belief that stories that didn’t reflect news organizations’ liberal political views often got “spiked” (pulled from publication)—even really juicy and provocative stories. It’s almost impossible to look at California newspapers’ coverage of fracking and not see it as “The Green Spike.” The narrative that the greenest president in history thinks fracking is safe doesn’t fit with the narrative that fracking is dangerous. So in newsrooms across the Golden State, the real views of this president and his administration are considered irrelevant—even as his interior secretary throws down the gauntlet with California’s greens. Chris Reed is an editorial writer for U-T San Diego. WASHINGTON — California gets its share, and then some, from the Obama administration’s $4 trillion budget proposal delivered Monday to a skeptical, Republican-controlled Congress. The budget, for instance, offers $3.5 million to complete the Army Corps of Engineers’ design and engineering studies for protecting the Sacramento area’s Natomas Basin. It provides tens of millions of dollars to upgrade Folsom Dam northeast of Sacramento and improve the safety of the earthen Isabella Dam in eastern Kern County. These projects enjoy bipartisan support. The president wasn’t talking about government employees. Most of them not only have paid sick leave, but also an incentive not to use it. When they retire, their unused sick leave can be converted into “service credit” for time spent on the job, which increases the amount of their pensions. Is this “spiking,” the improper boosting of pensions by manipulating the final pay or time on the job used in the formulas that set monthly pension amounts? Many do not think so. The higher cost of pensions presumably is paid for in advance by rate increases resulting from what the actuaries assume will be the cost of converting unused sick leave to service credit. California Public Employees Retirement System actuaries assume, when calculating future costs, that service credit for unused sick leave will increase pensions and other benefits by 1 percent for state workers and non-teaching school employees. Actuaries for the California State Teachers Retirement System, making the calculation in a different way, assume that unused sick leave will increase the service credit for educators by 2 percent. An analysis by the CalSTRS actuary, Milliman, issued in 2010 found that the average amount of unused sick leave converted to service credit was 0.5 years for members retiring after 26 years on the job. Unused sick leave was not considered in the development of the anti-spiking provisions in Gov. 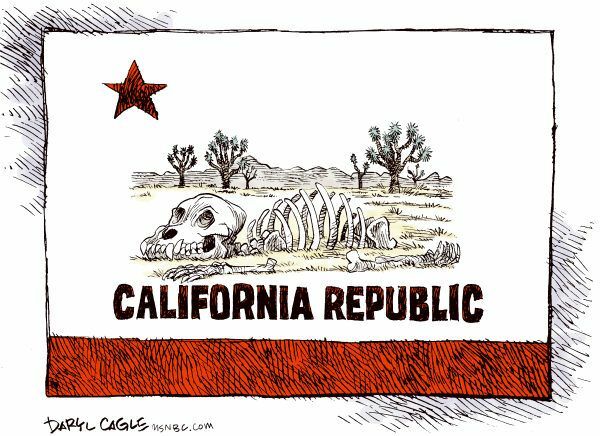 Brown’s pension reform (AB 340 in 2012). The bill barred final pay boosts through overtime, bonuses, one-time payments or terminal pay. Sick leave can vary through labor bargaining or for other reasons. State workers in CalPERS get eight hours of sick leave per month. CalSTRS members get one day of sick leave per pay period, and employers are charged more for exceeding a limit. In the Vallejo bankruptcy, the lack of a cap on unused sick leave was an issue. A city consultant, Charles Sakai, said in a court filing that a firefighter working 20 years could accumulate up to 5,760 hours of sick leave worth nearly three years of service. Vallejo firefighters retiring after 20 years on the job could take half of the unused sick leave in cash, Sakai said, and use the other half to boost their CalPERS pensions by adding 1½ years of service credit. Unused sick leave helped give a San Ramon Valley Fire Protection District chief a pension far exceeding his salary, one of the cases reported by Daniel Borenstein of the Contra Costa Times that prompted the introduction of anti-spiking legislation. The fire chief, Craig Bowen, age 51, with a salary of $221,000, retired in December 2008 after 29 years on the job with an annual pension of $284,000. Unused sick leave boosted his service credit to 30.3 years, adding $10,700 to the pension. Bowen is in the Contra Costa County Employees Retirement Association, one of 20 independent county pension systems operating under a 1937 act. After anti-spiking legislation for CalPERS was approved in 1993, similar legislation for counties in 1994 cleared the Senate but died in the Assembly. 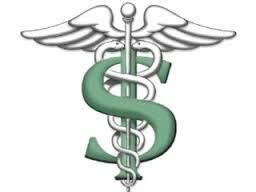 The conversion of unused sick leave to service credit began for both CalPERS and CalSTRS with legislation in 1973-74. The reason for the CalPERS change, modified several times since then, was not readily available last week. Why CalSTRS members were allowed to begin converting unused sick leave into larger pensions was explained in a later bill analysis. “It was anticipated that this benefit would reduce sick leave usage and enable employers to achieve some salary savings from not having to hire substitute teachers to replace teachers who might otherwise have been absent from the classroom,” said a CalSTRS analysis of AB 1102 in 1998. The costs were capped by legislation in 1979 that limited the conversion of unused sick leave to persons hired before July 1, 1980. Legislation in 1985 paid for the conversions by raising the CalSTRS employer contribution from 8 to 8.25 percent of pay. Then in 1998 the unused sick leave conversion was reinstated by AB 1102 for those retiring on or after Jan. 1, 1999. Backers said the bill was needed for “equity” with CalSTRS members hired before July 1, 1980. The bill was part of a package of increased pension benefits enacted as the funding level of CalSTRS, which was about 30 percent in the 1970s, climbed toward 100 percent under the Elder full-funding plan enacted in 1990 and a booming stock market. Much of the current CalSTRS funding gap, which a $5 billion rate increase being phased in over the next six years is intended to close, is due to state and teacher contribution cuts and benefit increases enacted around 2000. Finally reaching the long-sought full funding was treated as a windfall to be spent. The state CalSTRS contribution was cut from 4.6 percent of pay to 2 percent. For 10 years, a quarter of the teacher contribution to CalSTRS, 2 percent of pay, was diverted into a new individual investment plan. A half dozen small increases included the unused sick leave conversion and a longevity bonus. CalSTRS would have had a funding level of 88 percent if it had not made the contribution and benefit changes around 2000 and continued to operate under the 1990 structure, a Milliman report said in 2013 when the funding level was 67 percent. The president said the U.S. is “the only advanced country on Earth that doesn’t guarantee paid sick leave or paid maternity leave to our workers.” California has been in the vanguard of change. Gov. Brown signed legislation last September requiring businesses to give employees at least three days of paid sick leave each year. In 2006, San Francisco required employers to give workers paid sick leave. The president expanded paid sick leave for federal workers this month by adding six weeks to care for a new child or ill family members. And during his first year in office he expanded the conversion of unused sick leave to boost pensions. Only federal workers hired before a cost-cutting pension reform in 1987 had been allowed to convert unused sick leave to pension service credit. In October 2009, Obama signed a bill giving a similar benefit to federal workers hired after the 1987 reform.